Park Forest, IL—(ENEWSPF)—January 9, 2017. The Park Forest Police Department will host its Annual Honors Ceremony on Saturday, January 14 at 9 a.m. at Freedom Hall, 410 Lakewood Boulevard. Over the course of 2016, Park Forest law enforcement professionals responded to more than 18,000 calls for police service. While this number sounds like a lot, it is not much different from previous years given the Village’s population of nearly 22,000 residents. Three homicides occurred and all were solved. It is impressive to note that two of the incidents were solved in a matter of hours. Equally impressive, if not more so, is that the third homicide was solved as offenders were pursued across several state lines and taken into custody nearly 500 miles away in spite of numerous attempts by conspirators to mislead investigators. 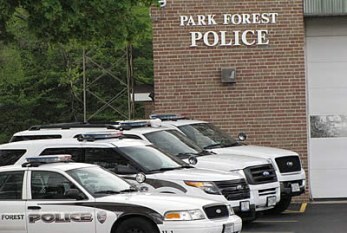 The above list only scratches the surface of the work undertaken and does not include numerous other examples of excellent police work that helps protect the quality of life in Park Forest. At Saturday’s Honors Ceremony, several Park Forest personnel will be recognized with Medals of Valor and the Combat Star, which are the highest levels of recognition that can be received in police work. Park Forest residents are encouraged to attend this event and thank the Park Forest Police Department for the excellent work it does for our community each and every day. Your acts and words of appreciation do not go unnoticed by the men and women in the Park Forest Police Department and are truly appreciated more than you will ever know.